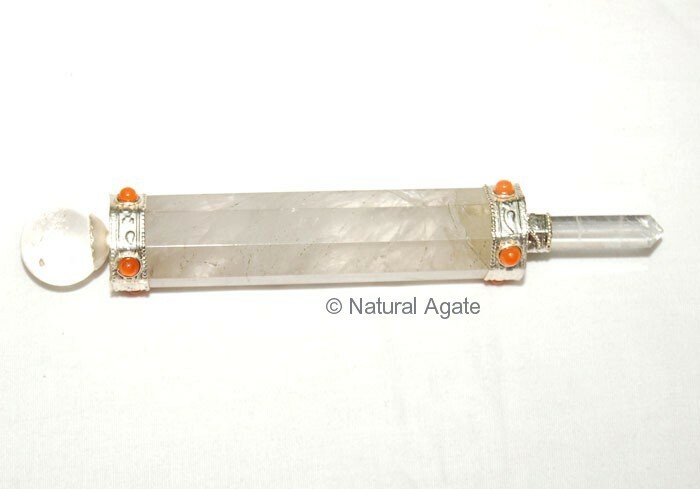 Crystal Quartz Plane Wand with carnelian stones can be bought from Natural Agate. 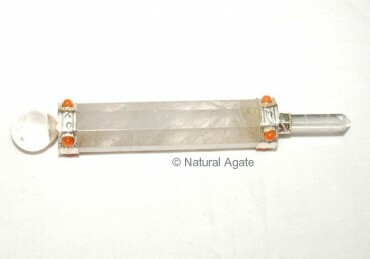 The wand will shield you against evils, ill-wishers. It will facilitate you to live your life comfortably and happily.